I had another very busy weekend. 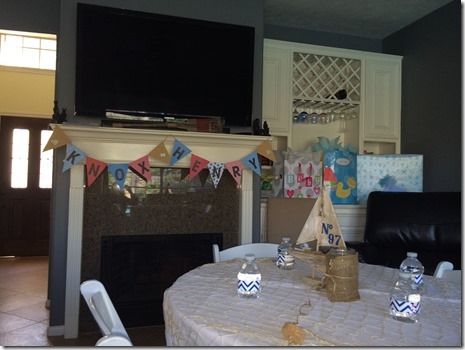 I hosted a baby shower for my good friend Amanda on Saturday. She will be welcoming her sweet baby boy in a month, or less. 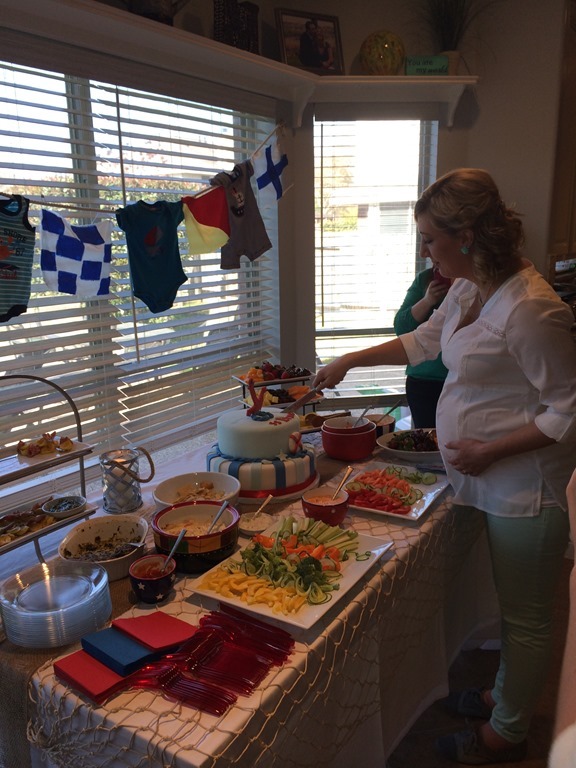 I am so excited for her upcoming arrival…and our Milkshake is looking forward to some play dates. While I worked with the other hostesses to get everything ready, Logan spent time with her Grandma and Great Aunt Deb (pictures to come in a later post). Amanda looked wonderful and I think her and baby Knox were showered with some wonderful gifts! 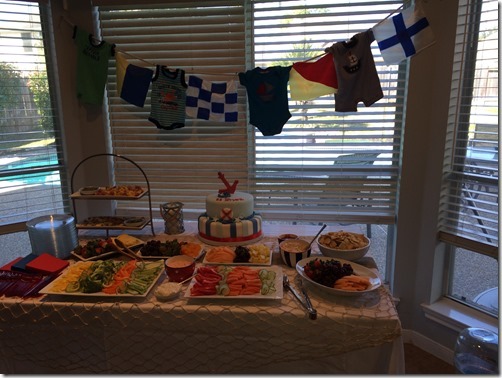 I worked with two other fabulous friends/hostesses to create a super adorable nautical themed shower. Logan took a wonderful nap one day and I made the banner, and the Hubs made the water bottle labels to match the invites, which my sister designed. It takes a village…to make a great baby shower! Not only are the onsies adorable, but the handmade nautical flags spell Knox. Like I said, I worked with super creative and talented hostesses. The beautiful Mommy Amanda cutting her cake. Yay Knox! I can’t wait to meet you! 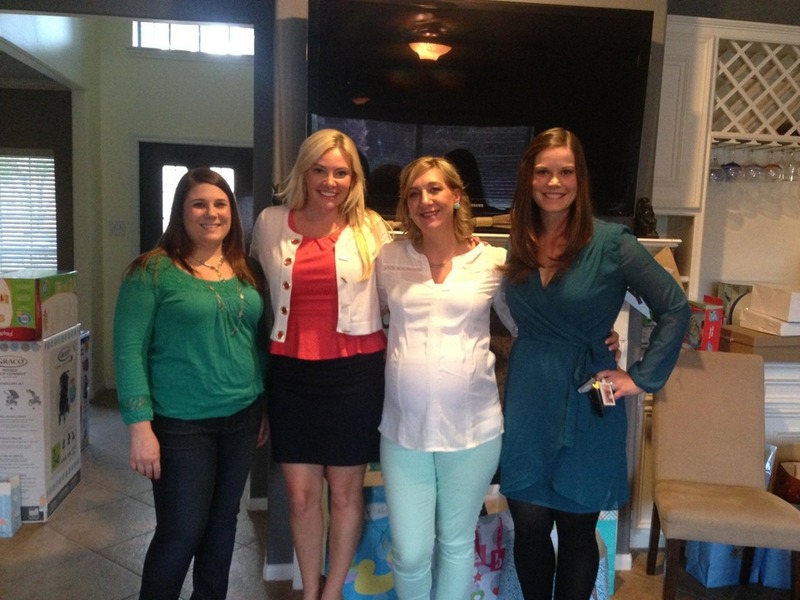 Mommy Amanda with her hostesses Britney, Robin, Amanda and MommaE. 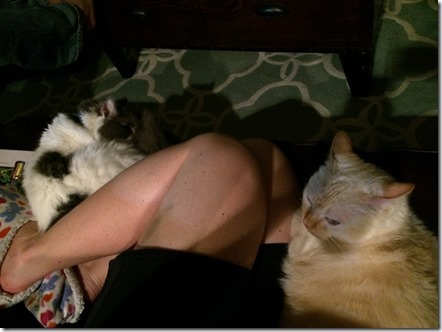 Sunday I was reminded how much I was missed by the fur babies. Leroy, thick MommaE legs and zoE. I loved all the cuddles I got! The shower was very nice. All you efforts really paid off. You are a good friend and threw a really nice party.